Sadly not a character from Sergei Lukyanenko's awesome series of novels, but rather a world weary man who patrols his sector dutifully, keeping an eye out for any trespassers and ner-do-wells. 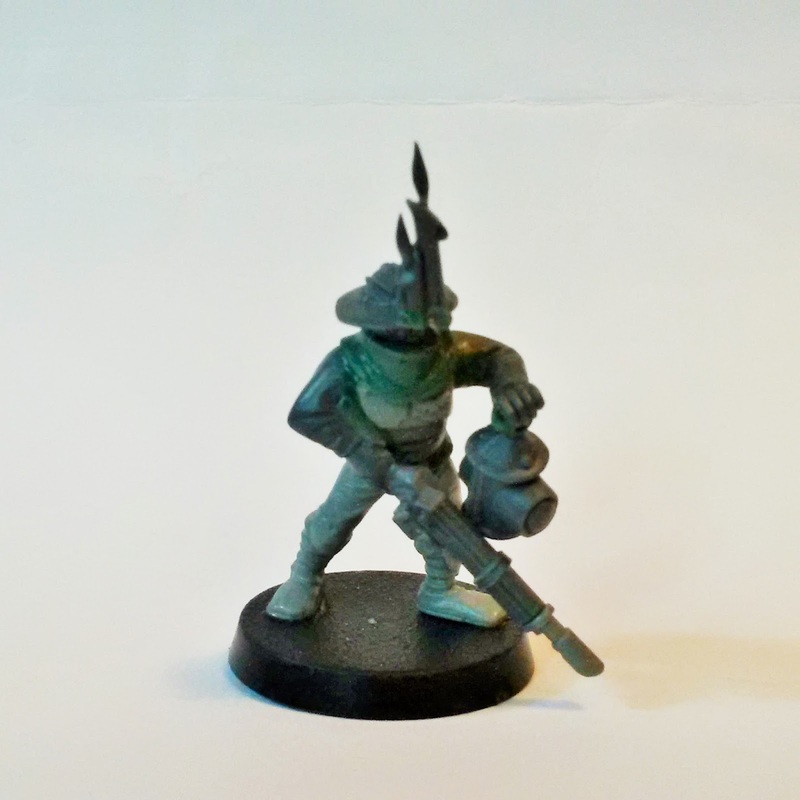 I knew that I wanted a final member of my Pilgrym warband and I have to credit where it is due and thank AceOfBlades from Ammobunker for their amazing conversions of Bretonnian Archers which inspired me. I imagined that night watchmen would be those considered either too old or too unfit for drafted service in the PDF (or maybe they had already served and had long retired), they weren't well equipped (normally having to suffer older gear discarded by the PDF) and their patrol areas are those that the regular arbites units are unable or unwilling to go (due to excessively cramped spaces, a zero crime coefficient in the area, etc.). For my night watchman, I designed him to look like a British 'Tommy' from WW1, with puttees, a leather gorget, balaclava and tin helmet. I even modelled his lasgun based on the Lee-Enfield rifles used in that era.